The Garden in a Bag “With Love” from Potting Shed Creations includes everything she needs to grow gorgeous Cosmos – scarlet red flowers which have 1 1/2″ blooms and will grow 12-14 inches tall! Just tear open the package, add water and find a bit of sunshine! The solid lotion Hummingbird Bee Bar from Honey House Naturals is exquisite in its detail and provides seriously beautiful help for dry skin. She’ll love that it’s waterless, long-lasting, full of essential oils and naturals butters and TSA friendly! Indulge her with the decadent artisanal chocolates from Gearharts Fine Chocolates. Each piece is handcrafted from their signature dark chocolate blend, Cabernet Franc from Barboursville Vineyards and damson plum preserves! 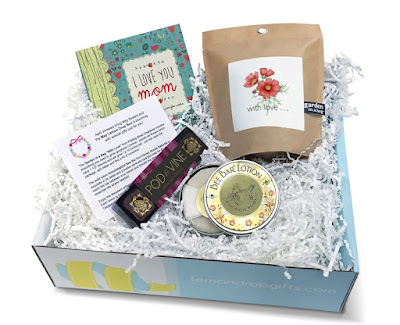 Select a gift book – Choose “I Love You Mom” to send a special sentiment to your mother or “Blessed, A Book of Gratitude” to let her know how much she is appreciated. Upload a photo and message – we’ll include a personalized postcard! 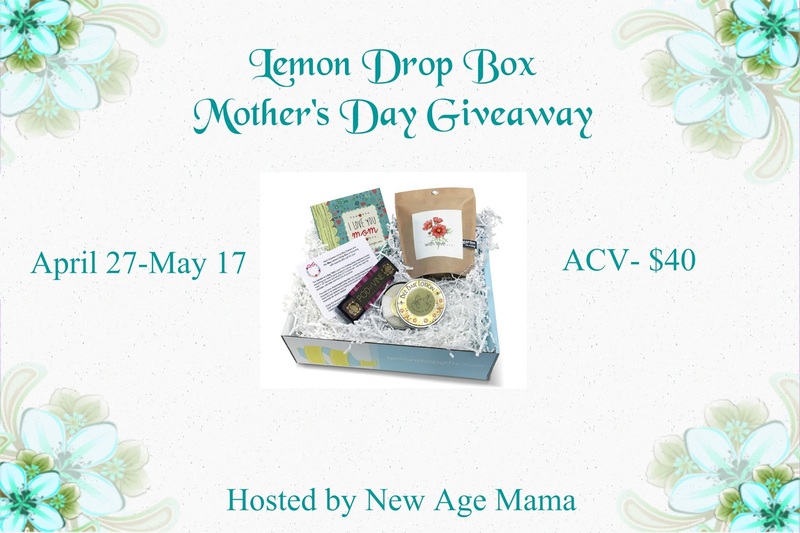 The May Lemon Drop Box ships the first week of May for Mother’s Day delivery! 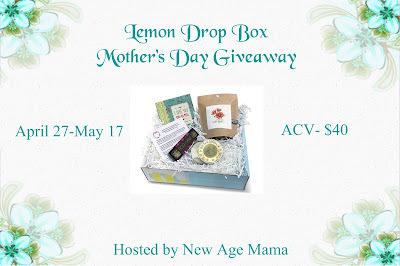 One lucky winner is going to receive a one month subscription to Lemon Drop Box. To enter, simply fill out the giveaway form below. This giveaway will end on 5/12/16. Open to the US only. The winner will be notified via email and will have 48 hours to reply. Thanks again to Soufeel for offering this fantastic prize. The garden in a bag makes me happy. I love to plant flowers.